Check out the Pinoy Pride 36 fight card headlined by the WBO world light flyweight Champion Donnie Nietes, This fight will be held at Saint La Salle Coliseum in Bacolod City on May 28th. Main Event: WBO World Light Flyweight Champion Donnie "Ahas" Nietes set to defend his title against Raul Rayito Garcia of Mexico. Milan "El Metodico" Melindo to fight for a rematch against Javier Mendoza for 12-rounds title Eliminator fight. Arthur Villanueva faces Juan Jimenez of Mexico in a 10-round non-title fight. Ala's KJ Cataraja to fight the Thailander Thai Chatchai in eight rounds non-title fight. 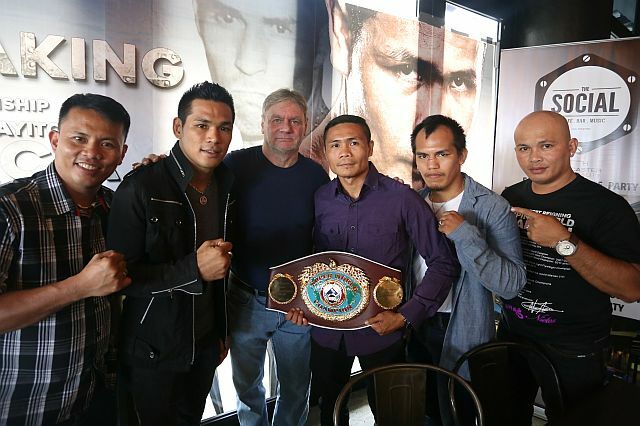 Jonas Sultan faces Romel Oliveros for the Philippines super-flyweight championship. Raul Yu to face Robert Ates. Undefeated boxer Kenneth Gentallan will face Jeffrey Stella in the 112-lbs division. Pinoy Pride 36 will be telecast late in ABS-CBN channel 2 at 10:15 AM on May 29, 2016.